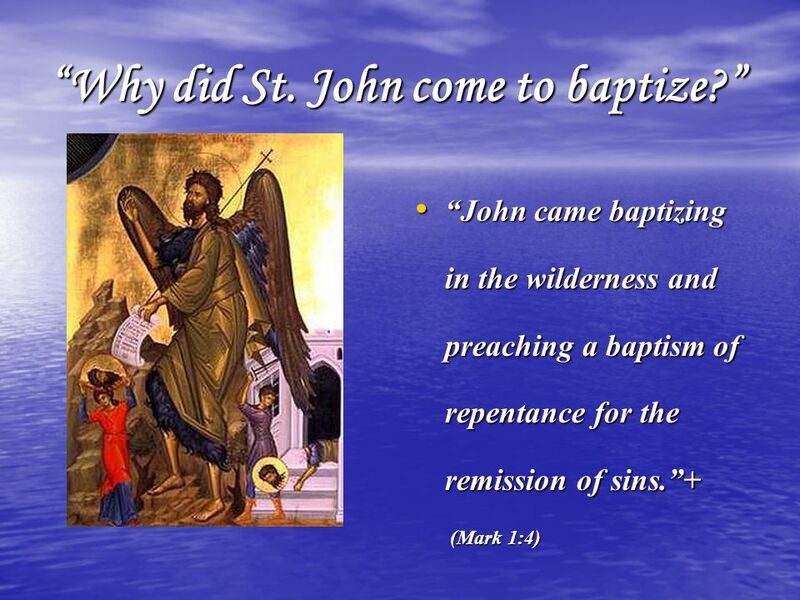 1 Why Are We Baptized? 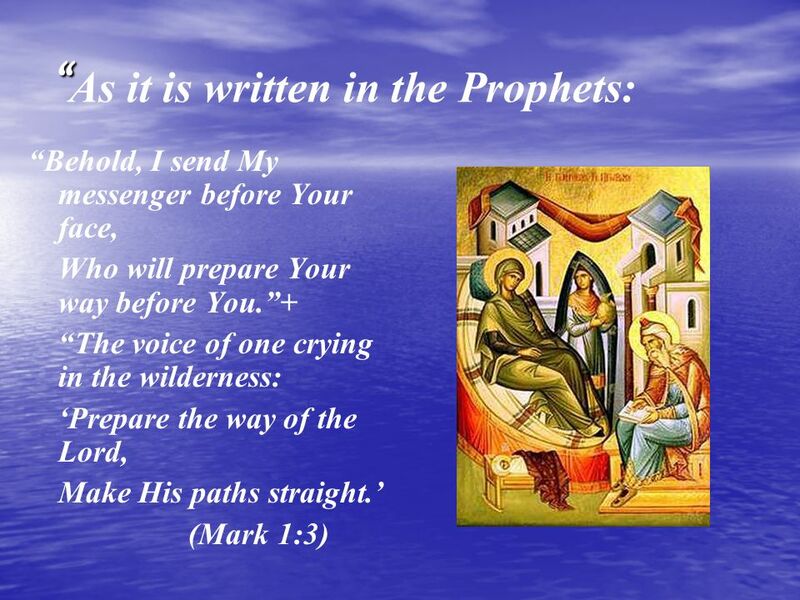 2 Our Responsibility To become a Greek Orthodox Christian, we are first introduced to the Church when we are 40 days old, when our family brings us to be blessed. We are Catechumens of the Faith. 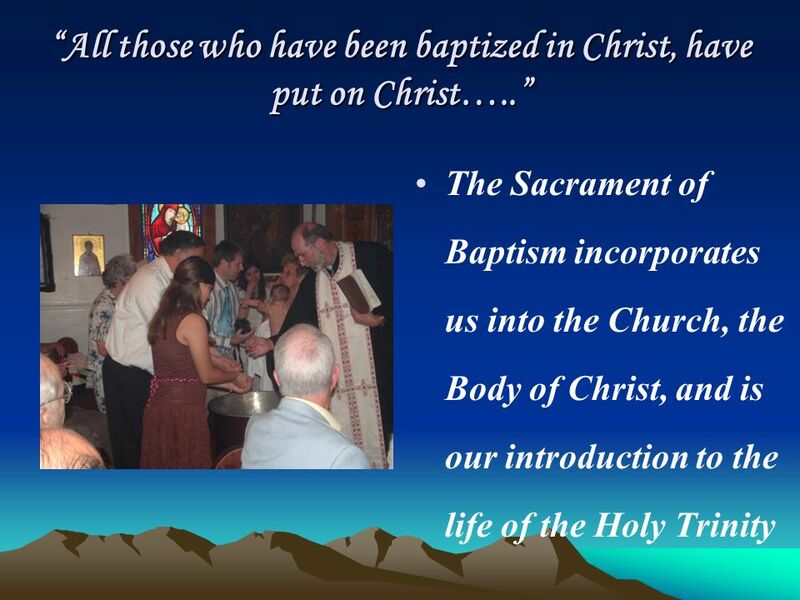 In order to become a member of the Church, we are baptized in the Name of the Father, and Son and Holy Spirit. 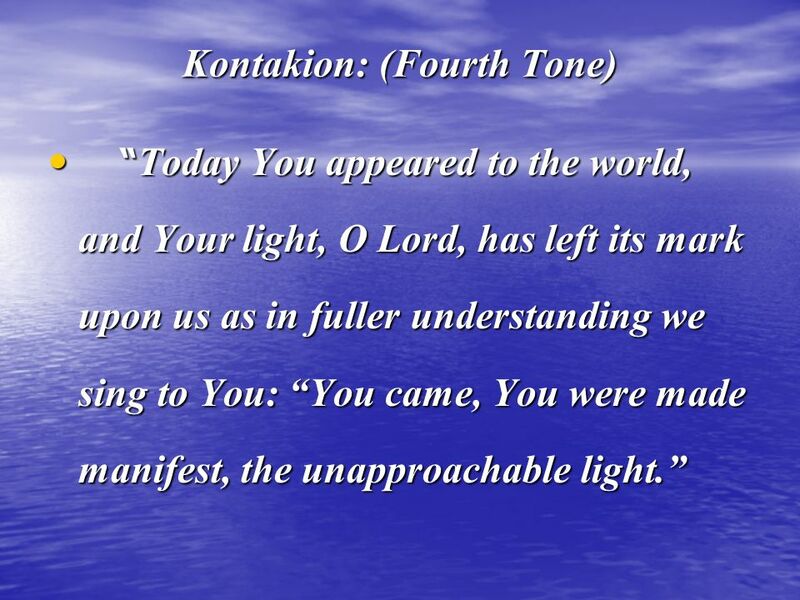 6 …and Jesus came to St. John…. 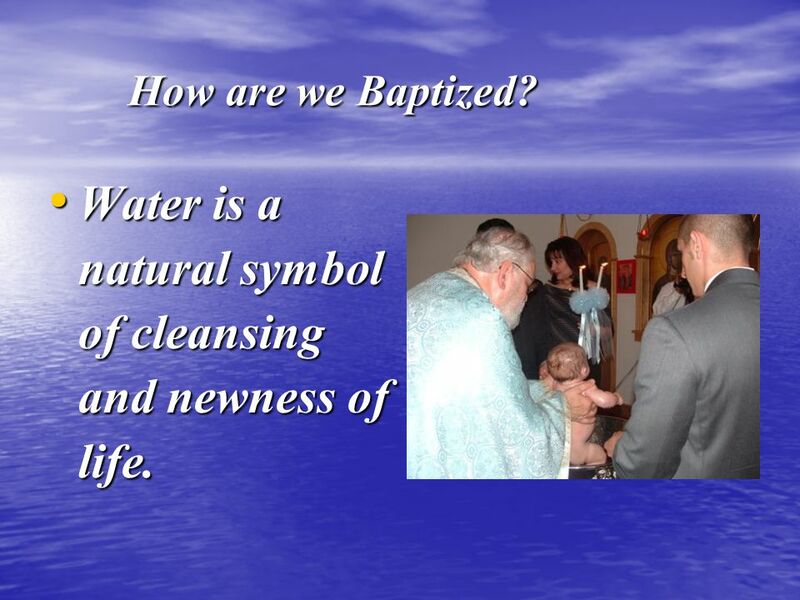 12 How are we Baptized? Water is a natural symbol of cleansing and newness of life. 13 The Baptizing When he has anointed the whole body, the Priest baptizes him (her), holding him (her) erect, and looking towards the East, says: “The servant of God (Name) is baptized in the Name of the Father. Amen. And of the Son, Amen. And of the Holy Spirit, Amen.” At each invocation the Priest immerses him (her) and raises him (her) up again. 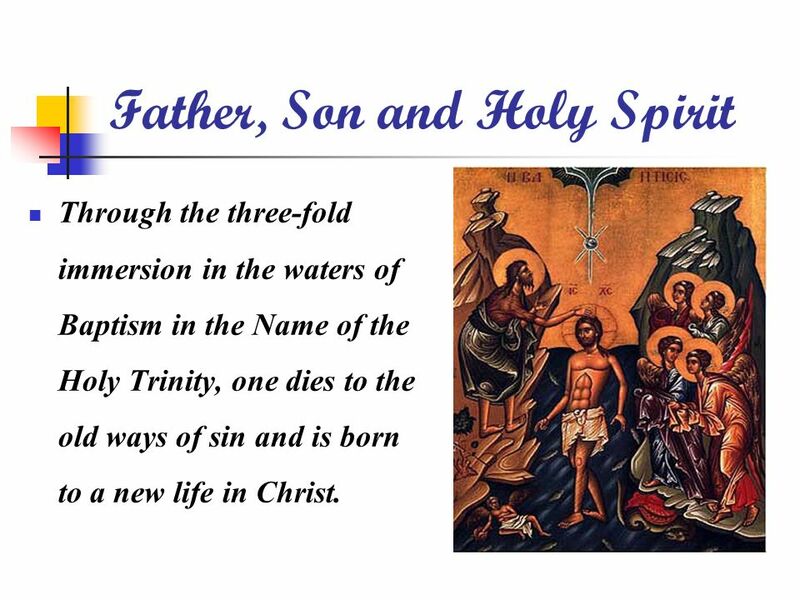 Through the three-fold immersion in the waters of Baptism in the Name of the Holy Trinity, one dies to the old ways of sin and is born to a new life in Christ. 15 When are we Baptized? 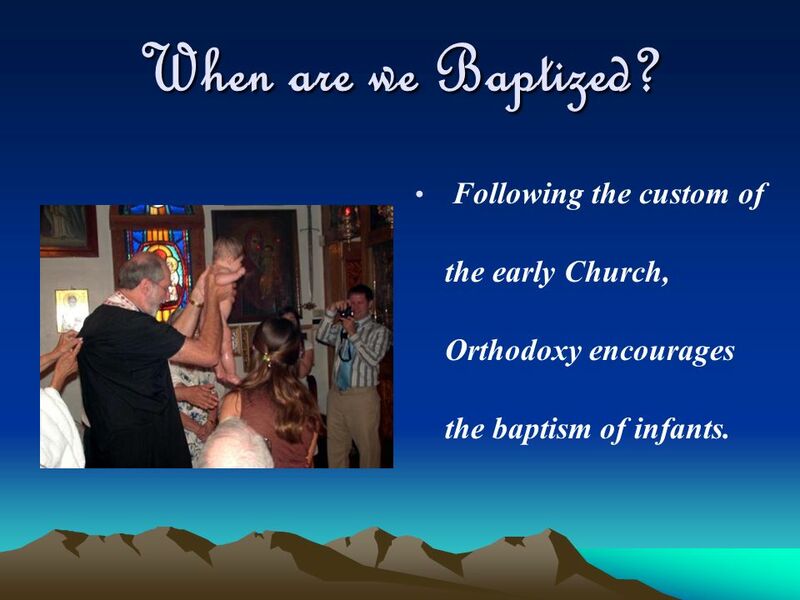 Following the custom of the early Church, Orthodoxy encourages the baptism of infants. 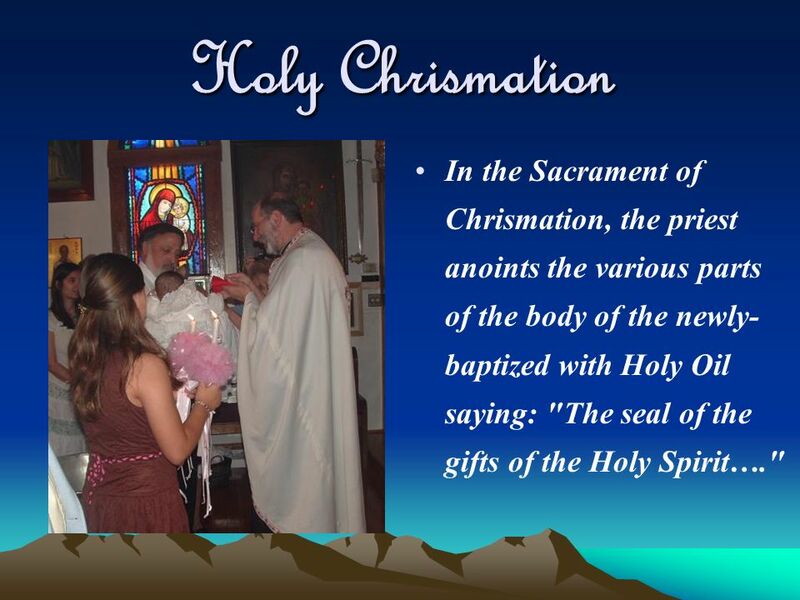 16 Holy Chrismation In the Sacrament of Chrismation, the priest anoints the various parts of the body of the newly-baptized with Holy Oil saying: "The seal of the gifts of the Holy Spirit…." 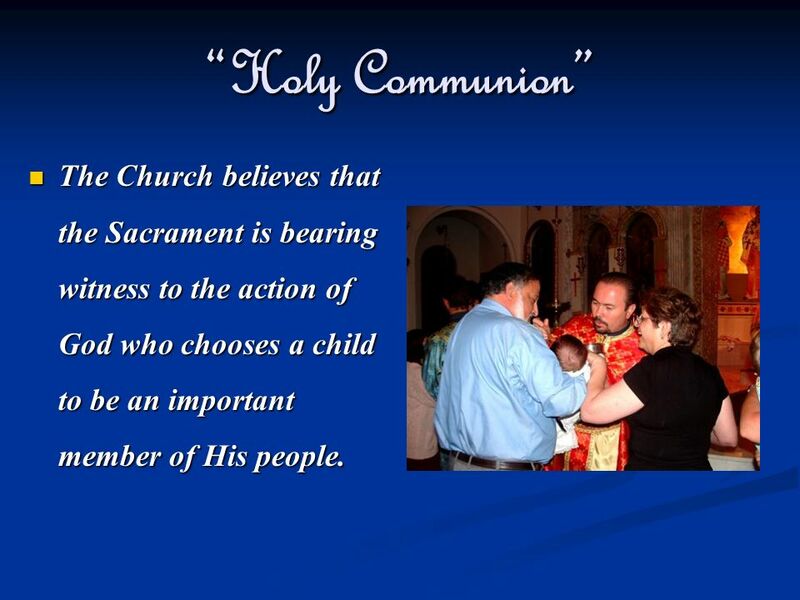 17 “Holy Communion” The Church believes that the Sacrament is bearing witness to the action of God who chooses a child to be an important member of His people. 18 “Godparents” Our Godparents become an important part of our lives. They are also responsible for the development of our Orthodox ‘growing’. 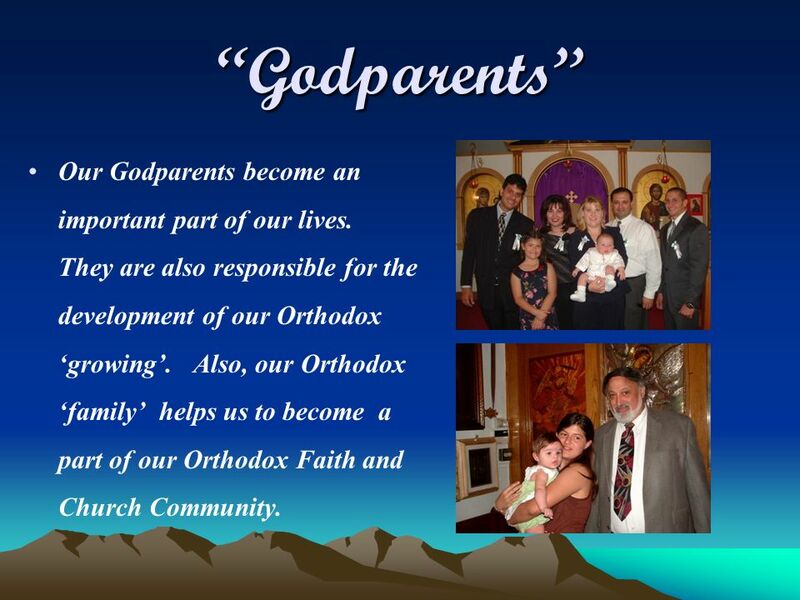 Also, our Orthodox ‘family’ helps us to become a part of our Orthodox Faith and Church Community. 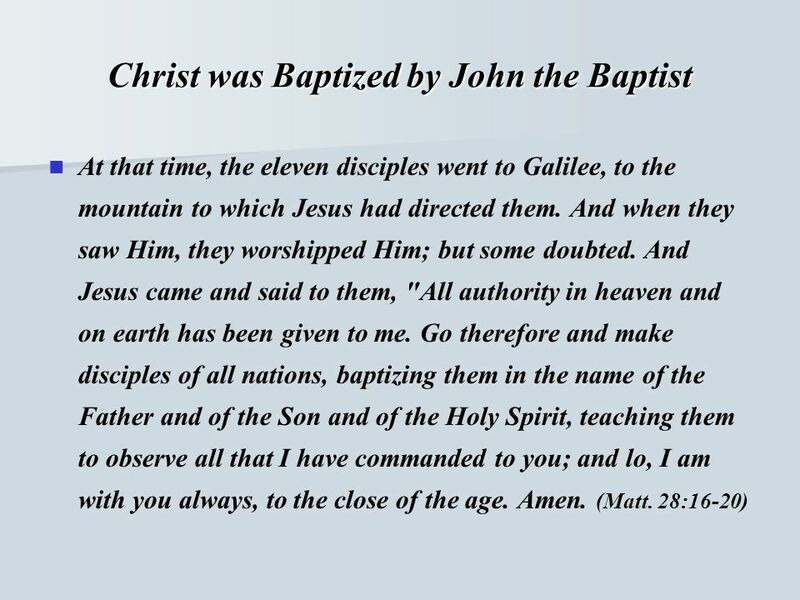 19 We are baptized because…. "He saved us, not on the basis of deeds which we have done in righteousness, but according to His mercy, by the washing of regeneration baptism and renewing by the Holy Spirit." 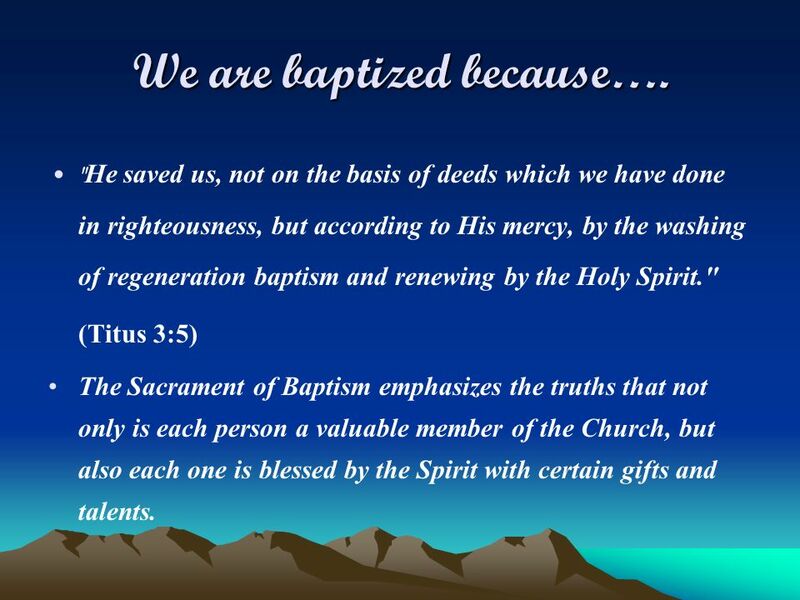 (Titus 3:5) The Sacrament of Baptism emphasizes the truths that not only is each person a valuable member of the Church, but also each one is blessed by the Spirit with certain gifts and talents. 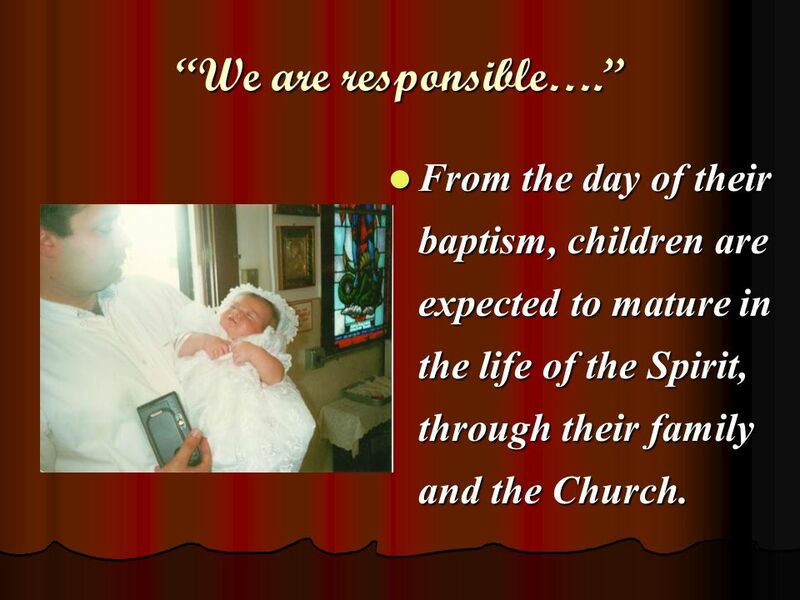 20 “We are responsible….” From the day of their baptism, children are expected to mature in the life of the Spirit, through their family and the Church. 21 As we grow in age, maturity and spiritual understanding, we become responsible for our own journey to our salvation. Having started with the guidance of our parents and Godparents, we now have grown into the realization that the Church plays a very big role in who we are and who we will become, as adults, spiritually and most especially as good examples of faithful Orthodox Christians. We now must look to our Church life and our Orthodoxy to helps us be strong and committed Christians. 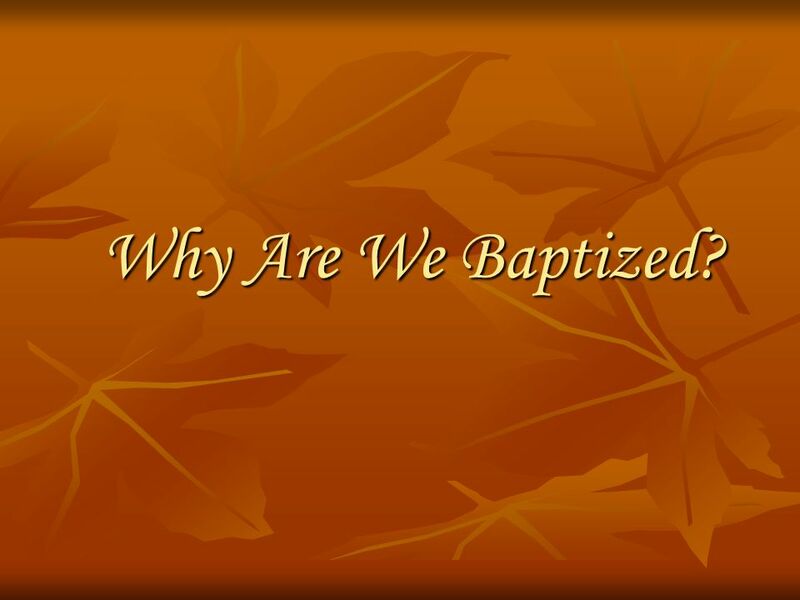 Download ppt "Why Are We Baptized?." By: Alexis, Kemi, Pamela, Caroline and Elizabeth THE SACRAMENT OF BAPTISM. 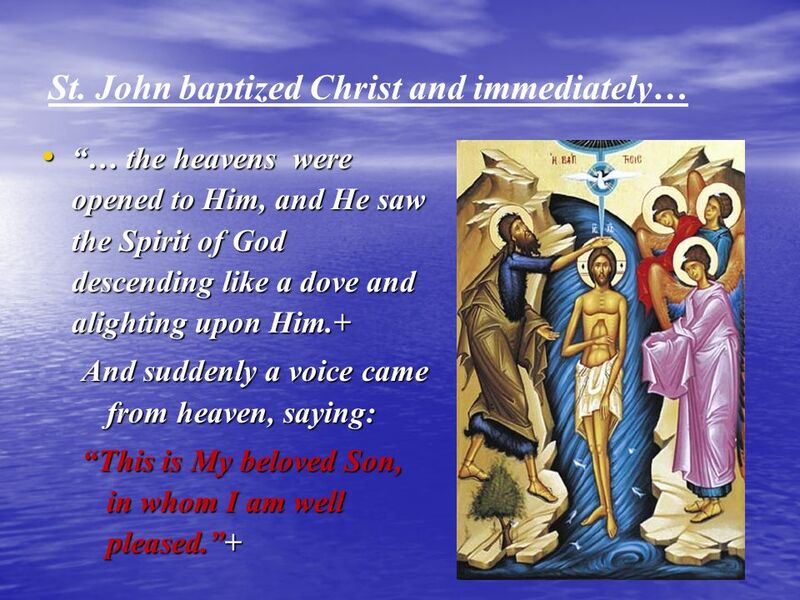 Baptism of Jesus Matthew 3:13-17 Mark 1:9-11; Luke 3:21-22; John 1:29-34. Matthew 3:13-17 NIV The Baptism of The King. 1. 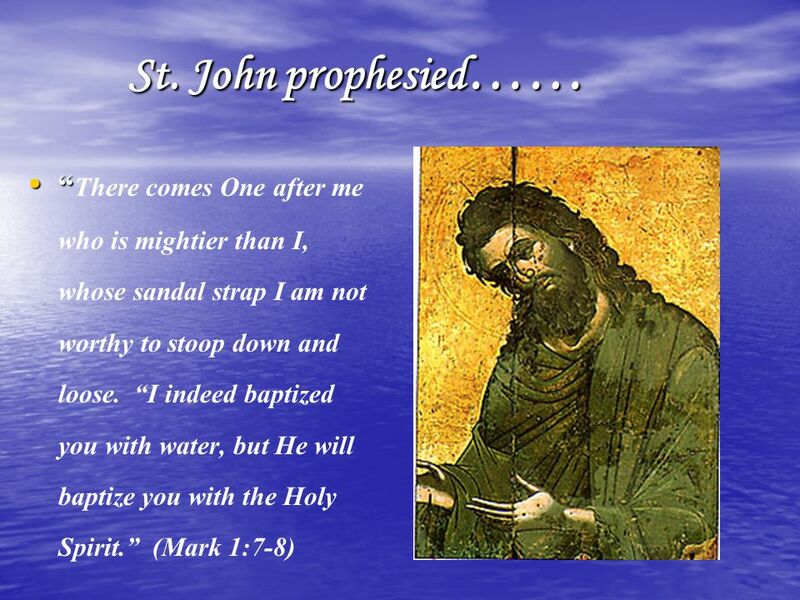 “Then Jesus came from Galilee to the Jordan to be baptized by John.” (Matthew 3:13 NIV ) The Baptism of. 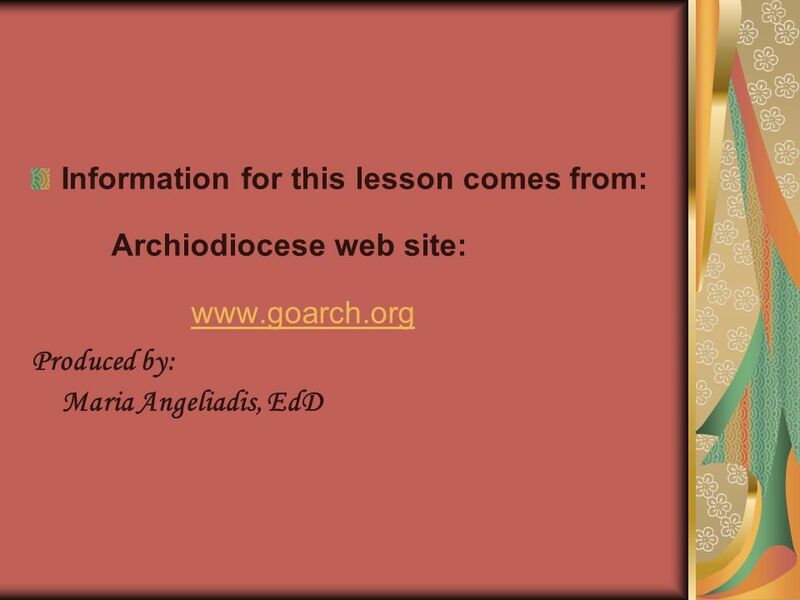 Lesson 46a. How can Baptism offer and give such great blessings? Psalm 105:1-3 - Oh give thanks to the Lord; call upon his name; make known his deeds among the peoples! Sing to him, sing praises to him; tell of all his. 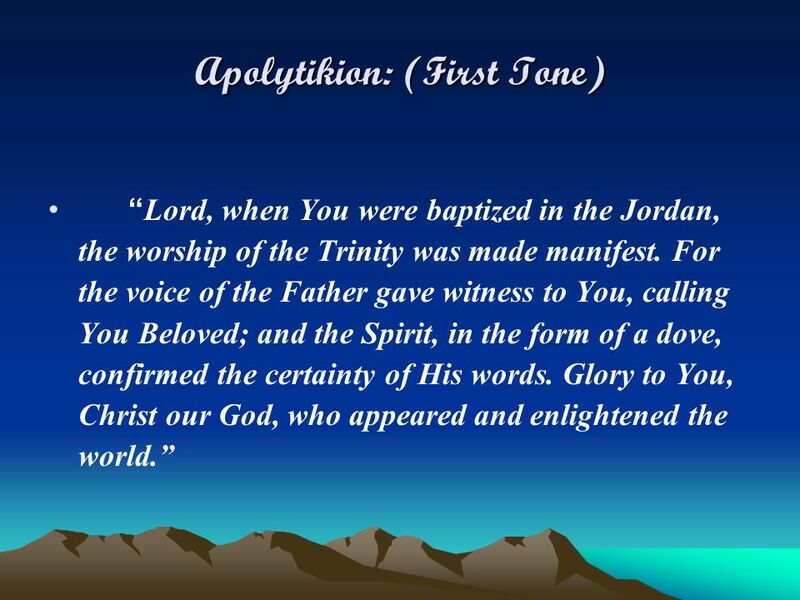 The Moment of Commitment baptizo βαπτιζω Mark 1:4 (NIV) And so John the Baptist appeared in the wilderness, preaching a baptism of repentance for the. The Baptism of Jesus Matt. 3:13 Then Jesus came from Galilee to John at the Jordan to be baptized by him. 14 And John tried to prevent Him, saying, "I. Three Intro Lessons for a New Testament Christian Mark 1:1-8. The Epiphany. 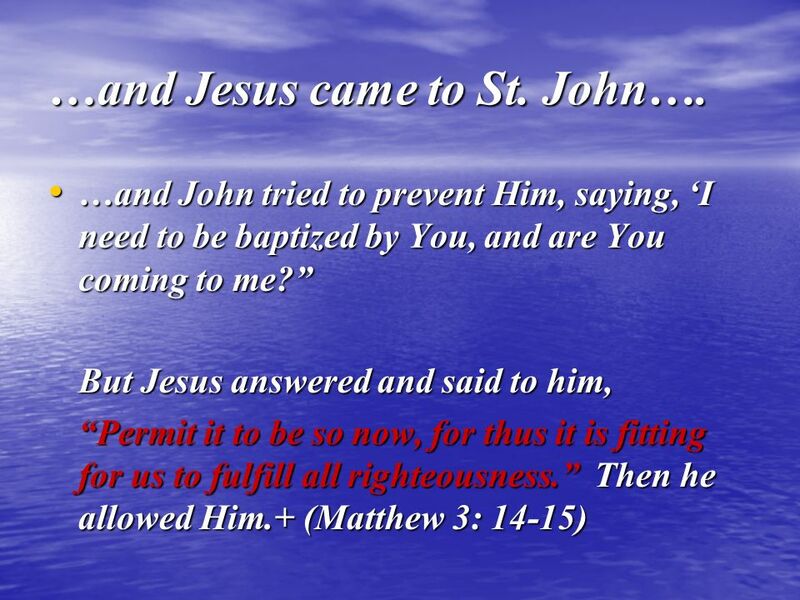 But John tried to prevent Him, saying: "I need to be baptized by You, and are You coming to me?" But the Lord Jesus answered and said.